Join for your pass to all things beauty! Do you wish to have beautiful tresses like Rapunzel or a smooth complexion like Snow White? Perhaps eggs could help you! Actually, eggs have lutein, which is immensely useful to make your skin elastic and hydrated. Egg protein has an important role to play for repairing of tissues and tightening the skin. Proteins contained in eggs, are also helpful in improving the appearance of hair and imparting strength as well as luster. Eggs provide you the adequate level of protein, which is required for growing nails and hair. Try to include eggs in your diet, since eggs are very delicious and use eggs topically to get beautiful skin and hair, naturally! • Egg For Toning The Skin– Whip an egg till it becomes frothy. Apply it all over your face as well as neck. Wait till it is dry and rinse in lukewarm water. This practice would help to tone and tighten your skin. 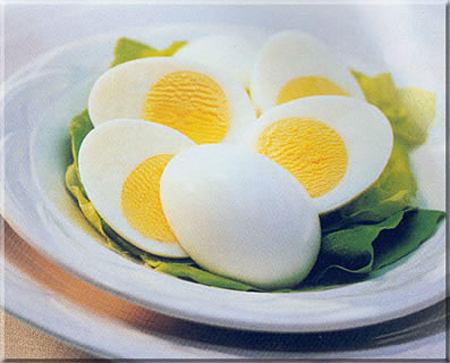 • Egg-White For Firming Pores– Take an egg and the egg-white has to be separated from the yolk. Beat the egg white to produce a thick foam and now, apply it on cleaned face. Wait for about twenty minutes and wash off with lukewarm water. This mask helps to firm skin pores and also treat acnes. • Egg To Reduce Under-Eye Puffiness– If the skin under your eyes seem puffy and your eyes look tired, apply a thin coating of egg white on the area under your eyes and leave on for about ten minutes. Wash off with plain water. Eggs are known to fix puffy eyes effectively. • Egg White-Oatmeal Pack (for oily skin) – Mix egg white and oatmeal together and apply this concoction on face and neck. This is one of the easiest skin care recipes with which you can pamper your skin if your skin type is oily. • Egg Yolk-Olive Oil Face Pack (for dry skin) – Combine egg yolk with lemon juice and olive oil. The mixture should be applied of face and neck. This pack is very good to relieve dry skin. • Egg-Honey-Rosewater Face Pack (to get smooth complexion) – Mix an egg with a spoon of honey and a few drops of olive oil and rosewater. Use the mixture as a face mask for about twenty minutes to get smooth complexion and flawless skin as it helps to do away with blemishes. • Egg-Yoghurt Face Pack (to get glowing complexion) – Mix egg yolk with yoghurt and a few drops of honey. Apply on your face and wait till the pack is dry. Rinse with trepid water. This pack is effective to give you a radiant skin, naturally. 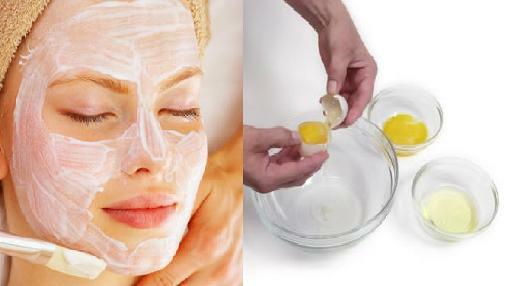 • Egg-Honey Face Pack (to remove tan and tone skin) – Mix egg white and honey together and apply it on your face. Wait for ten minutes and rinse with water. The pack helps to improve your complexion by doing away with tan. • Egg-Yoghurt Hair Conditioner– Mix egg and yoghurt. You can add a spoon of olive oil or almond oil if you have it at home. Apply on your hair and allow the pack to stay for forty-five minutes. Your hair is thoroughly conditioned and you get shiny and beautiful hair, instantly! • Egg-Lemon Pack (to add volume and shine) – Mix the juice of one lemon with an egg and apply it on your hair. Wait for half-an-hour and shampoo. This pack adds sheen, volume and softness to your locks. • Egg White Pack (for oily hair) – Is your hair limp, dull and oily? Whip an egg white and apply it through your hair strands. Leave it for about thirty minutes and shampoo. Use lemon rinse. • Egg-Skimmed Milk Pack (for dry hair) – Mix an egg thoroughly with skimmed milk (one cup). Rub it on your scalp and hair gently. Shampoo after thirty minutes. • Do not use eggs for beauty treatments if you are allergic. • An uncooked egg (which is used for skin care and hair care recipes) emits a bad smell when it starts drying. Does Waxing Lip Make Hair Grow Back Thicker? Thanx Gini 😉 ya…if u can put up with the smell….u get amaziiiiiiiing results!!! ya stimulate oil is really nice, even i use that regularly by mixing with packs and hair tonics! Yesterday, I saw Egg face pack from Banjara’s. Will it give the same results? Can I use it on my hair as well? yes – if you use hot water for washing it off you would get cooked pieces in your hair. always use mild to cold water for rinsing egg pack off. BTW….i know im being mean Akshatha..but then…LOL! cooked pieces??? :lol2: :lol2: :lol2: hahahhahaaa!!!! ya..Dee is right..its always good to use cold water 🙂 Im not sure abt the Egg face pack from Banjara’s 🙁 personally, i dont think it wil be proper to use it for ur hair if they sell it as a ‘face pack’! Yes som, I have bengali friends, they hardly eat veg :)..Please, don’t tell anyone, actually I do not use makeup at all :shying: but I am very regular and active at trying such natural tips. I have picked up so many tips from IMBB, which I follow regularly :)..I like eggs, but I am so allergic to them. Recently, I added them in my diet on my gym instructor’s suggestion as a protein substitute and I got baaaad acne on my face. almost 2 months, the acne are gone, but, I am still dealing with the scars :(. Beer also conditions the hair….atleast the husband is drawn to you….. I have done egg in my hair one time….and I hated the smell……so now beer is much better. Hey Thanks! coconut water as in?? can I use the packaged 1? btw How to use it? Time and Method? > I always love to use natural organic products and one of my favorite skin care brands is Plum. Over the past few months, I have tried their entire “Green Tea” range. In this post, I am sharing my views on Plum Green Tea Pore Cleansing Face Wash.
> Streetwear brings back many teenage memories! I loved Streetwear nail polishes and I still use a few. I recently picked up Street Wear Mascara Knight Black and here comes the review for you.